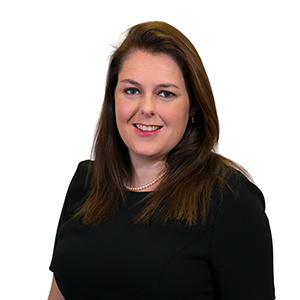 It’s a strangely sunny day in Manchester when we catch up with Leanne Tattam – one of Birchall Blackburn Law’s Personal Injury Associate Solicitors. She specialises in serious and catastrophic injury, working with incredible charities such as Headway Blackpool Wyre & Fylde which she was a Director of for over 6 years, and Head Injured People in Cheshire. How did you decide on working at a law firm or to go into PI? My dad’s a lawyer so when I was young I went into his law firm and was initially exposed to the corporate/ commercial world. I wasn’t sold on that side of it, but still had this niggling feeling that I wanted to become a lawyer, so I got experience in the Personal Injury Department and I was like ‘oh my goodness, I love it!’. I thought, this is actually helping people and being useful for somebody. I went to do a vacation placement at Leigh Day & Co where I was able to do some work on one of the massive air disaster cases and thought – this is what I want to do. So here I am! It’s a really good firm and has a good reputation. They also share my ethos on wanting to do the best for their clients. It must be a hard and emotional area of work to deal with every day. How do you cope? Yep, it can be. I don’t think we ever 100% completely switch off but there are definitely things that I do to break away. I’ll go to dance classes and I’ll go for a run if the weather is alright! Or, I’ll just go home, put the telly on and watch something mindless or read a book – something just to escape. All sorts really. I love doing zumba, but i also do a bit of Salsa, Charleston, Jive etc basically some of the stuff you’d see on Strictly! Have you got a favourite book? I absolutely love…all of the Harry Potter’s! I could answer that in so many different ways. People who inspire me professionally are people like Rodger Pannone who took on the thalidomide cases and represented so many families following the Lockerbie disaster helping them to find answers for what had happened at a time when not everyone would. People like that inspire me to do what is right for our clients, to fight against the boundaries sometimes and most importantly, use the law to actually give people the opportunity to know that they’ve done everything they can. I think that’s really important. So many female lawyers inspire me too – Joy Kingsley has been absolutely incredible in what she’s achieved, which was properly acknowledged in her getting the Manchester Legal Award’s Lifetime Achievement Award last year. In terms of who inspires me to just do better? My mum and my dad! The people in my life that are there, always supportive but push you to do the most that you can. Have you got any unusual facts? I sometimes dream in black and white – how bizarre! Not always – just sometimes! It’s like an old movie. What’s the biggest misconception about lawyers that you’ve heard? That we’re stuffy! And that generally people have the thought – ooh, she’s a lawyer…better watch what you say! We’re actually all really normal. What’s something you’re most proud of? Last May, running the Blackpool 10k in the blistering heat while I was still Director for Headway Blackpool Wyre & Fylde, raising around £2000 in doing it! That was a good moment. If money was no object what would you love to experience? If money was no object whatsoever I think I would love to go to the moon and look down on the world. Apart from coffee? Maybe gin! Any superpower? To be invisible!